Elizabeth Hamilton was a highly-regarded writer who was friendly with, and praised by, some of her leading contemporaries including Sir Walter Scott and Maria Edgeworth. Her interests covered a variety of fields, including education, history, and housing and social improvement, which she expressed in a number of different genres, from fact-based treatises to the novel. She was born in Belfast, daughter of Charles Hamilton and Katherine Mackay, whose brother was a Minister at First Presbyterian Church, Rosemary Street. She had a sister, also Katherine, and a brother, also Charles, who spent much time in Bengal with the East India Company and gained fame as a writer and translator, especially of al-Hedāya, the magnum opus of Islamic jurisprudence authored in Persian by the prominent Islamic jurist Burhan al-Din al-Marghinani (1135 – 1197). Her parents died in 1759 and 1767, and Elizabeth moved to Stirlingshire where she lived (happily, as she later recounted) for some years with a paternal aunt and her husband, the Marshalls. Her aunt died in 1780, and Elizabeth remained with her uncle until his death in 1790, making occasional trips home to Ulster, or to visit her brother Charles, to whom she was very close, in London. However, Charles died of tuberculosis in 1792 barely a year after the appearance of his al-Hedāya translation. Elizabeth remained for a short time in southern England and began to suffer imperfect health; in 1800 she had an attack of gout, which would be the first of many such. With her sister she settled in Edinburgh where she became well-known not just through her work, but also through her hospital, gregarious persona, often entertaining at home, not least welcoming various literati. She was also active in charitable work, and was a keen promoter of women’s education in an age when this was often frowned upon. Her health problems grew gradually more serious, particularly gout and declining eyesight and she eventually moved to Harrogate in England where she died. She never married. Elizabeth had always been something of a voracious reader and had already started writing while in her teens. A novel based on the life of Lady Arabella Stuart, a cousin of James VI and I and herself once considered a possible heir to the English throne, was never published; she wrote some poetry, and a travel journal of a trip to the Highlands which was published, though in a provincial newspaper. The influence of her brother was strong and in 1796 she published a satirical opus, Translations of the Letters of a Hindoo Rajah, which depicts the impressions of an Indian Rajah who travels to England; she models two characters on herself and her brother. In 1800 came Memoirs of Modern Philosophers which rather teased members of William Godwin’s circle, though she expressed herself favourably on the views of Mary Wollstonecraft, with whom Godwin had a famous daughter, author of Frankenstein; Mary Wollstonecraft, who died in 1797, had authored in 1792 A Vindication of the Rights of Women (in the chapter entitled “Animadversions on Some of the Writers who have Rendered Women Objects of Pity, Bordering on Contempt”) a polemical rejection of the paternalism expressed by Rousseau in his Emile, in which he had argued that women should be educated to serve men; Hamilton remained interested in the education of women, seeing no reason why this should be any different to that designed for men. This was though very much not the prevailing view of the time. In 1801 she published her thought on the matter in Letters on the Elementary Principles of Education. In 1806 she published Letters addressed to the daughter of a nobleman, which grew out of the several months she spent supervising the education of an aristocracy girl whose mother had died early. Perhaps her most celebrated book appeared in 1808. It is also the work with the most direct and strong Ulster connection. The Cottagers of Glenburnie was a novel written with the purpose of highlighting the life conditions of the Scottish peasantry. It was hailed as an immediate critical and popular success, notwithstanding its uncompromisingly didactic subject matter and sealed her place as one of the most prominent women writers of her day. The narrative opens with several chapters in which an older woman, perhaps the heroine of the story, a Mrs Mason, recounts her earlier life, from humble beginnings through a life of domestic service, in which she was humble (fear of God being an explicitly and much-repeated root of this), honest, industrious, and devoted. There then comes a sharp contrast with the peasant family of MacClarty, introduced to the reader as inhabiting a cottage dwelling far from clean or organised. Hamilton’s slightly caustic humour can be seen , for example, in her noting how the interior of the Scottish cottage has a dark colour, in contrast to those in England whose interiors are generally white; this is to hide the Scots habit of leaning against walls out of sheer laziness. One feature which at first compounds her, thus becoming a notable feature of the novel, is the very strong Scots accent/dialect (the most recent edition includes a glossary for the English-speaking reader); the cottagers who speak in this are, she finds, however good-natured, appallingly lazy, constantly using expressions based on the word “fash”, “to bother” or “to trouble”, such as “we cou’dna be fashed” (“we are not at all inclined/interested” in doing something. Expressions using this verb came to be seen as badges of certain (class-based) forms of Scots speech. The author is far from intending to detract from the praise so justly due to Mr Lancaster, by observing how far he had, in some of his most important improvements, been anticipated by the schoolmaster of Belfast. David Manson’s extraordinary talents were exerted in too limited a sphere to attract attention. 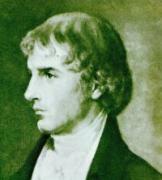 He consequently escaped the attacks of bigotry and envy; but the obscurity which ensured his peace, prevented his plans from obtaining the notice to which they were entitled; nor did their acknowledged success obtain for him any higher character, than that of an amiable visionary, who, in toys given to his scholars, foolishly squandered the profits of his profession. A small volume, containing an account of the school, rules of English grammar, and a spelling dictionary, is, as far as the writer of this knows, the only memorial left of a man, whose unwearied and disinterested zeal in the cause of education, would, in other circumstances, have raised him to distinction. Professor Grogan places this chapter in a context of Hamilton almost ploughing a third way; in a book one of whose basic arguments is that in the decades either side of the year 1800, literature and writing as well as politics tended to fall on one side of a Jacobin/anti-Jacobin and nowhere else, Hamilton’s work does not fit either side in this paradigm. More precisely, the “monitoring” system of classroom method, in which a hierarchical structure is put in place according to which a lesson (for example) is presented at first by the schoolteacher, is presented to the “layer” directly beneath them, then from that layer to the one below, and so on, is extolled: in this way, pupils in a class are constantly occupied, and hence are constantly learning rather than getting bored. Elizabeth Hamilton decided to move to England for reasons of her (fragile) health; she died at Harrogate after a brief illness.